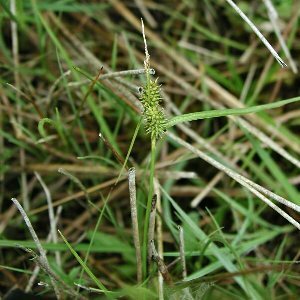 The commonest of three subspecies of Carex viridula. Widespread in a variety of situations such as wet pasture, lake margins, flushes etc. All names: Carex viridula ssp. oedocarpa (Andersson) B.Schmid; Carex demissa Horem. ; Carex tumidicarpa Anderss.